Join us for fun, food, beverages and great prizes on Groundhog Day! $30 gets you 8 games, pizza, salad, desserts, sodas, tea or beer, plus chances to win at bingo, silent auctions and even cool door prizes. We’ll eat from 6 to 7 and then start the games! Call us at 828-5900 to reserve your seats or table and you’ll get $5 off your entry cost. The story of the hiring process of the Fred Harvey company is well known. Harvey’s advertising in women’s magazines and newspapers for “educated women of good character to go West to work” enticed young women to the Kansas City office for a personal interview. If they met Harvey standards the women boarded a train headed for a Harvey House to proudly wear the respectable black and white uniforms of the Harvey Girls. 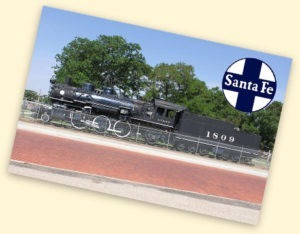 In the early years of hiring Harvey Girls, one woman in the Kansas City office, Alice Steele, conducted all of the interviews and made the determination of who was worthy to represent Fred Harvey in far-flung locations as the Santa Fe Railroad expanded passenger service towards California. However, as the railroad towns became more populated and Harvey Houses became well known as offering favorable jobs for young women, the local Harvey House manager began to handle most of the interview and hiring process. Even though most local women came to an interview with a personal recommendation or perhaps a letter from her minister, occasionally a not so “educated woman of good character” ended up on the local Harvey House payroll. While doing research for a series of books about the history of Harvey Houses most of my interviews with former Harvey Girls included stories about how employees were like family and often went to great lengths to help each other in times of trouble. There were also a few scattered stories of a petty thief among the Harvey Girls who shared close living quarters or a waitress who misrepresented the truth to gain a promotion or transfer to a more favorable location. After all, in over 80 years of employing approximately 100,000 Harvey Girls there was certainly going to be some who didn’t live up to the wholesome reputation. Well-documented stories reveal examples of two Harvey Girls who took serious missteps to a wilder side of life: Madam Millie and Cecil Creswell. Most likely, the most notorious Harvey Girl worked in Deming, New Mexico. Mildred Fantetti Clark Cusey was born in 1906 in Kentucky and was orphaned at the age of twelve when her parents died during a flu epidemic. 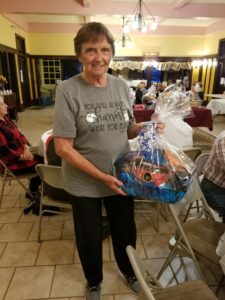 When her older sister, Florence, contracted tuberculosis, Mildred moved with her to Deming where her sister was admitted to the Holy Cross Sanatorium at Camp Cody. Mildred was hired as a Harvey Girl through the recommendation of a friend with whom she attended church. One version of what happened after Mildred became a Harvey Girl is that she was transferred to Needles, California, and because of the extremely hot climate, she quit and returned to New Mexico but not to the Harvey House. Instead, Mildred went to work at a brothel in Silver City, New Mexico. In the 1930s, while still in her twenties, Mildred had acquired three “houses of pleasure” in Silver City, one in Deming, one in Lordsburg, New Mexico and one in Laramie, Wyoming. Eventually her “business establishments” stretched from New Mexico to Alaska. Mildred died in 1993 at the age of eighty-seven. Her biography, “Madam Millie: Bordellos from Silver City to Ketchikanit” was published by the University of New Mexico Press in 2002. While further researching this unusual Harvey Girl story, I discovered that Madam Millie’s last husband of twenty years, James Wendell Cusey, was a naval veteran of World War II, and Millie is buried next to him in Fort Bayard National Cemetery near Silver City, New Mexico. While not entirely living up to the wholesome image of a Harvey Girl, Madam Millie was a survivor and certainly made her own place in history. In a few weeks, I’ll share another unusual Harvey Girl story of Juanita Van Zoast who later became known as Cecil Criswell, cattle rustler. Mexico and Harvey Houses of Kansas, a 2016 Kansas Notable Book Award. Rosa’s next book, Harvey Houses of Arizona, will release in the Spring, 2019. Research of Fred Harvey and his inventive approach to business has revealed his contribution of many familiar hospitality-related practices such as the “blue plate” lunch special and requiring men to wear coats in the dining room. However, perhaps the Harvey “way”’s most influential and long-lasting impact is dedication to exemplary customer service. A recent stay at the 1912 Slaton Harvey House proves that vintage charm can be combined with modern upgrades to provide a most relaxing stay. From the re-created newsstand now serving as the registration desk to the convenient elevator every amenity is provided. But be sure to make at least one trip up the original staircase with metal steps and imagine the Harvey Girls at work. The bedrooms are furnished with comfortable beds and up-to-date bathrooms. Decorative accessories provide era-appropriate ambience. Spend a night or a weekend. Enjoy the sitting area. Prepare yourself for a most delicious breakfast. Savor West Texas hospitality. This current review of a Harvey House experience in many ways echoes similar complimentary communication from satisfied customers written through the years. Since Harvey opened his first restaurant in 1879 I would guess thousands of satisfied customers took time to express their appreciation. 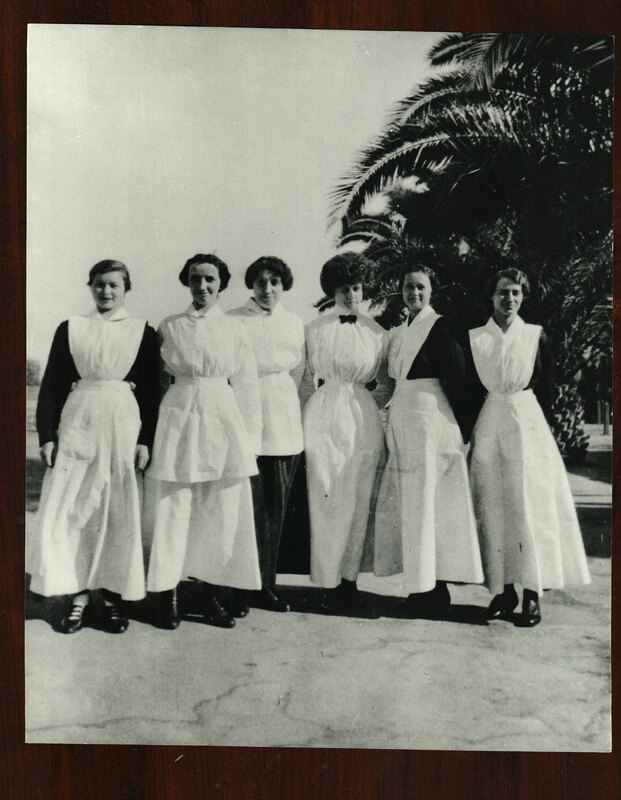 Outstanding service at the El Paso Harvey House was praised in a letter to the Fred Harvey company headquarters from “A Unit of Nurses” dated April 20, 1946. For a long time I have intended to write to you. Seeing the movie “The Harvey Girls” made me know more than ever I must write. The advertisement in Fortune Magazine showing the Syracuse china made us appreciate the dishes our food was served from. Not a chipped or cracked one on the table. In our travels we were transferred to El Paso, Texas. It was between eleven and twelve at night when we arrived at the station. Several of us went into the Harvey House dining room; after days of traveling in hot coaches and having only two meals, we were so pleased to be in a cool room, where everyone was so pleasant. The most courteous and sweet gray-haired lady took our order. We all noticed the efficient way she served her customers. All agreed someone should write and thank her. Through you we want to tell her that we will never forget the person that showed us how to be gracious. [signed] A Unit of Nurses. The nurses’ emphasis on their gracious server reminds us that the “face” of the Fred Harvey service was the Harvey Girls. The following letter was written to the Fred Harvey company by Mr. H.R. Pattengill of Michigan in 1910. The final sentence is priceless! Nearly forty days of travel and experience along the Santa Fe, and corresponding familiarity with the Harvey eating-house system, leads us to pay this tribute to its force of dining-room girls. In all this time, in a score of different hotels, and of the hundreds of waiters, the editor did not see any unladylike or flippant action. The young ladies were, without exception, neat and becomingly attired, courteous and expert in their work, dignified yet cheery, bright eyed, clear faced and intelligent. It is also worthy of note that they received from the thousands of guests whom they served the courtesy which their bearing demanded. Some of the traveling show troupe women, with their bepowdered, enameled, ready-made complexions, peroxide puffs, wienerwurst curls, loud talk and louder behavior, might well get some wholesome lessons in womanliness from the Harvey House waitresses. Thank you, Fred Harvey, for setting the standard high! 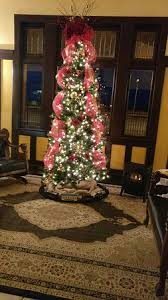 And thank you to Harvey Houses such as the restored bed & breakfast in Slaton, Texas for continuing the tradition! 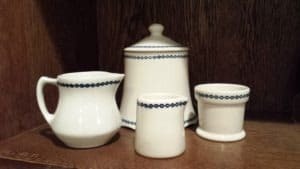 #1 Fred Harvey Blue Chain china serving pieces from the collection of Everet Apodaca. Photo courtesy of Mr. Apodaca. #2 Unidentified Harvey Girls. Photo courtesy of Brenda Thowe. 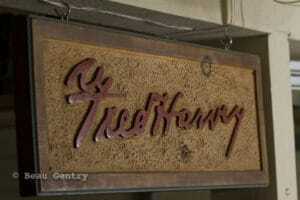 #3 Original Fred Harvey restaurant sign. Photo courtesy of Skip Gentry Fred Harvey Memorabilia Collection. When the railroad forged its way through the West, it brought Fred Harvey restaurants and hotels with it. Certainly Mr. Harvey had a unique vision and was an astute businessman, as were his sons and grandsons who continued the business after his death in 1901. However, it was the employees, led by waitresses known as Harvey Girls, who made the Fred Harvey company a success. Through the years, over 100,000 women followed the Santa Fe Tracks westward to work as Harvey Girls. How was life as a Harvey Girl beyond the ever-present smile and distinctive black and white uniform? Certainly it was an exciting adventure for some and a guarantee of a husband for many. The Harvey House staff was in many ways a protective family, still it could be difficult as most of the young women left home for the first time to work in a Harvey House. No doubt at the end of a twelve-hour shift, bone tired and alone on the second floor of a Harvey House, many of these young women cried themselves to sleep. As a result of research for a series of books on Harvey Houses and Harvey Girls I have heard many personal stories expressing loneliness and a feeling of constant fatigue; however, invariably there were happy endings. Even though Harvey Houses were festooned with Christmas decorations and the menu was brimming with traditional holiday food this time of year was especially difficult for young women who were working far from their home and family. In many ways, their experience was no different from what we feel today when faced with similar situations. Ethel Willis Irby was born just over one hundred miles northwest of Las Vegas, New Mexico in the tiny mining town of Brilliant. 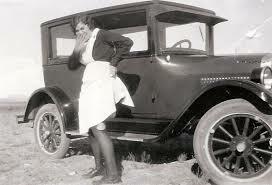 After graduating from high school in 1928, she went to work as a Harvey Girl at the Castaneda in Las Vegas. Her first Christmas in Las Vegas Ethel was very homesick as she had always been with her family during the holidays. As we might say today, she decided to apply some “retail therapy” to her situation. Ethel went shopping and bought some new shoes. Although the purchase took almost all of her weekly wages, she felt special in the slender, black pumps and decided to have the shop owner wrap up her scuffed, tan ankle boots declaring she wanted to wear the new shoes. Stepping a little lighter in her shiny pumps Ethel continued to saunter along Bridge Street enjoying the holiday decorations in the shop windows. Then it began to rain and water quickly puddled on the uneven dirt footpath. This is when Ethel discovered her pretty new shoes were not leather, but were instead made of cardboard with a glossy surface. Before she could make her way in the pouring rain the few blocks to the Rawlins building where she and other Harvey Girls lived, her new Christmas shoes had almost disintegrated. Ethel’s cold, wet feet were a perfect match for her dampened spirits. She felt she had wasted her money on a frivolous purchase and the whistle of an approaching train reminded that if she didn’t hurry, she would be late for work. Thankful that she had recently chosen a fashionable bob Ethel used her bath towel to dry her hair as best she could, slipped into her black and white uniform, put on dry shoes and reported for work in the bustling, crowded Castaneda dining room. She was still lonely and disappointed but it was time for her shift and she had train passengers to feed! Through the years the lives of Harvey Girls have been romanticized making it easy to forget the difficulties the young women surely faced. However, for the most part, they shared a strong desire to meet the Fred Harvey standards and faced each day with renewed determination. 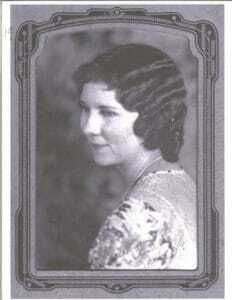 Three years later Ethel Willis transferred to Los Chavez Harvey House and Hotel in Vaughn, New Mexico. While working in the lunch room she often served meals to a Boston wool buyer, Sumner Irby who traveled regularly to the southwest for business. Ethel was twenty years old and Sumner thirty-five when they met and she considered him a kind, gentle “old” man. According to Ethel’s daughter, it took Sumner two years, but he eventually convinced the pretty Harvey Girl to marry him and provided Ethel with a happy, comfortable life with as many pairs of leather shoes as she desired! Mexico and Harvey Houses of Kansas, which received a “Kansas Notable Book Award” in 2016. He is just a little guy, but his dreams are big. Ozzie, his brother, and his parents came to stay at the Slaton Harvey House Bed & Breakfast in September 2016. 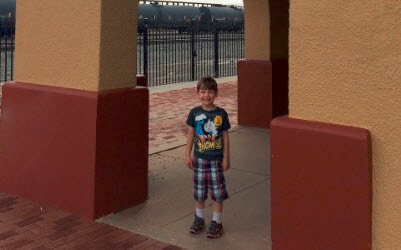 It was his sixth birthday and, being the train enthusiast he is, spending the night in an old train station was a dream come true. His parents, new to the Lubbock area, were thrilled when they found our little house of history, knowing that for Ozzie, a night spent here would be the greatest gift. His family toured our little town of Slaton, visiting the town square and spending some time taking in the majesty of 1809, the monstrous steam engine that was dedicated to Slaton in 1955 and sits on City Hall’s lawn today, its presence still commanding attention in our little square. 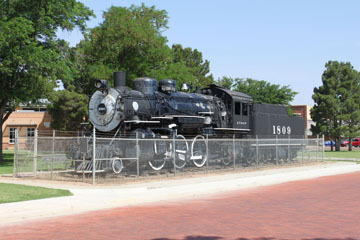 Engine 1809 is surrounded by a chain link fence, but Ozzie would have climbed aboard if he could. 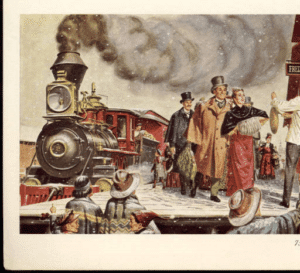 Back at the Slaton Harvey House, the train lover’s face lit up with intrigue and excitement as he perused our small railroad artifact collection, the Brakeman hats and coats, the pictures. As a train approached and the building began to rumble, Ozzie ran to the window, eyes wide and bright, eagerly anticipating it’s passing. He didn’t take his eyes off that train. He gets it. At his young age, he gets the power and mystique of the railroad. According to his mother, Ozzie has been a train fan since he was two years old and started playing with his junior Thomas the Train wooden engines and track. 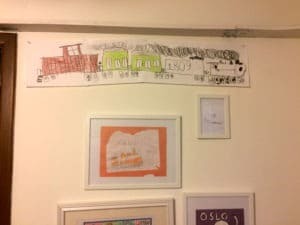 “He’s graduated to elaborate wooden track sets, including real life types of engines, like the Santa Fe, and has an electric Santa Fe that runs the perimeter of his room, close to the ceiling, that his Dad made for him. At Christmas, Ozzie’s Granddaddy’s full sized Lionel Train comes out to run around the tracks at the base of the Christmas tree. No matter what the size or type of train, Ozzie loves them all!” she said. 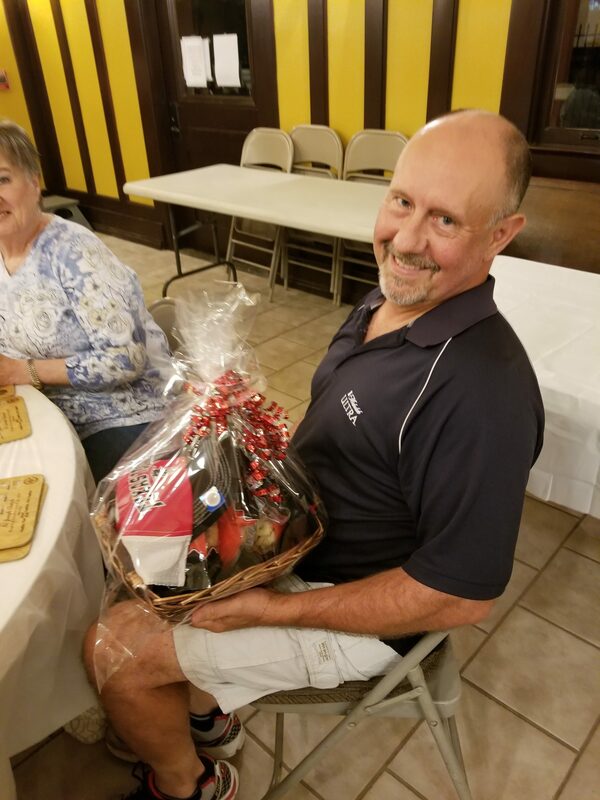 He is connected to his past, a legacy of railroaders before him. He was quick to tell me that his granddad worked for the Frisco line, and even quicker to rattle off the cache of facts and trivia he’s acquired in his short life. He understands the power of the steel rails, the importance of its history and future, and he plans to honor it. The family visited us again in March. They brought Ozzie’s grandparents to experience the legacy of the Slaton Harvey House. Ozzie’s mom asked if he’d shared his life goal and vision with me; when he’s a grown up, he wants to restore The Sobbing Black. Ozzie’s dream isn’t short-sighted, and he already has his restoration plans lined up. He says he is going to ask his Dad to replace the missing glass and weak wood, his Mom to scrape off the old paint, and his brother Leo to get the wheels in working order. Ozzie plants to paint The Sobbing Black all by himself. His long-term dream is to be the engineer on the fully functional 1809. He is planning to let dogs ride in a separate car, and has asked to borrow our caboose (the wooden Fort Worth & Denver caboose – currently under restoration – which sits outside the Slaton Harvey House). 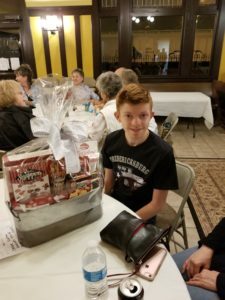 Ozzie’s excitement is contagious, and we were blessed to make his acquaintance, and that of his brother and parents, who encourage and support his big dreams. This is more than a six year old boy. Ozzie is hope for our future. He and his family are sure to bring honor to the railroad for years to come, and I doubt we’ll wait until he’s a grown up to get him on board. 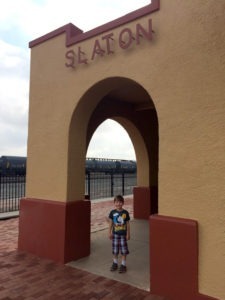 His parents have already asked if Ozzie and his brother Leo can come volunteer some time, and we look forward to the inspiration and magic that they’ll bring to the Slaton Harvey House, the railroad, and to Engine 1809, Ozzie’s vision, The Sobbing Black.